Hello friends. The Christmas decorating season has officially begun and I am ready to create, inspire and decorate. 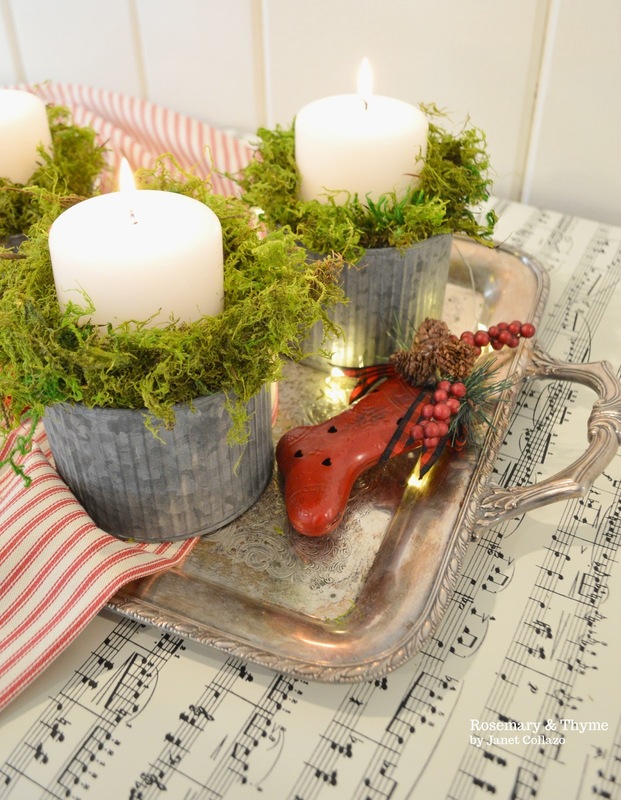 One of my favorite ways to add warmth and ambiance in our home is by incorporating candles. 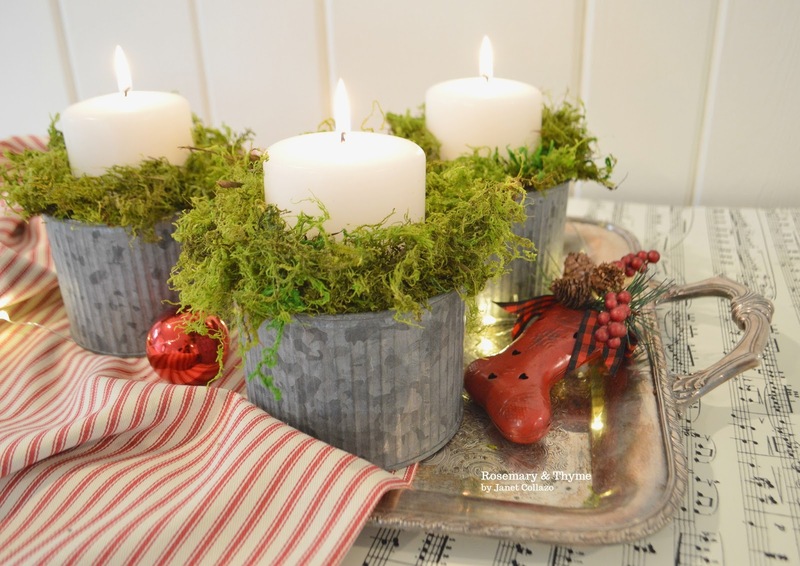 Today, I am happy to share this fun and easy winter holiday candle DIY that I think would be great in any area of your home this holiday season. They look so beautiful when lit and with just a few holiday touches! 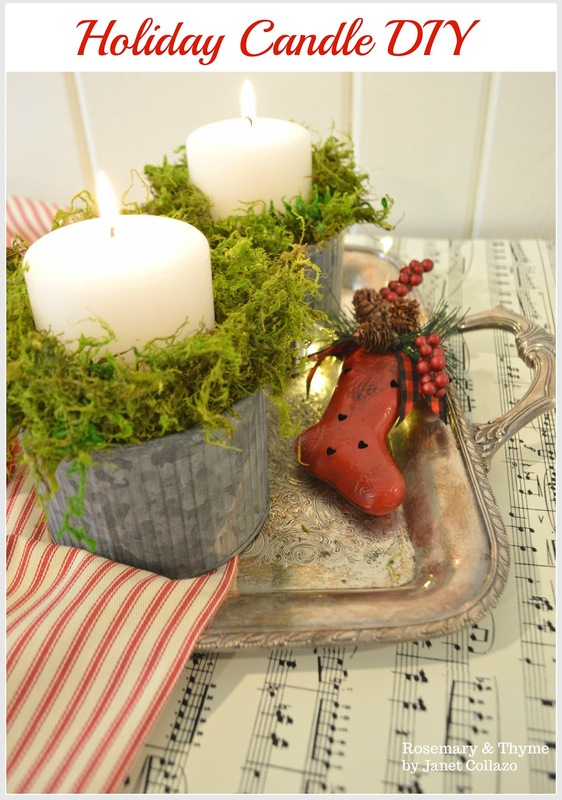 And if you’re anything like me, the holiday season is that time of the year when you don't mind doing a DIY that is fun, unique and truly beautiful. Place floral foam in pots. Make sure to leave about 1/2 inch from the top. Place candle in center of pots. Add Spanish moss around the entire vase/pot to cover any of the exposed foam. Add a few seasonal accents and you are done. 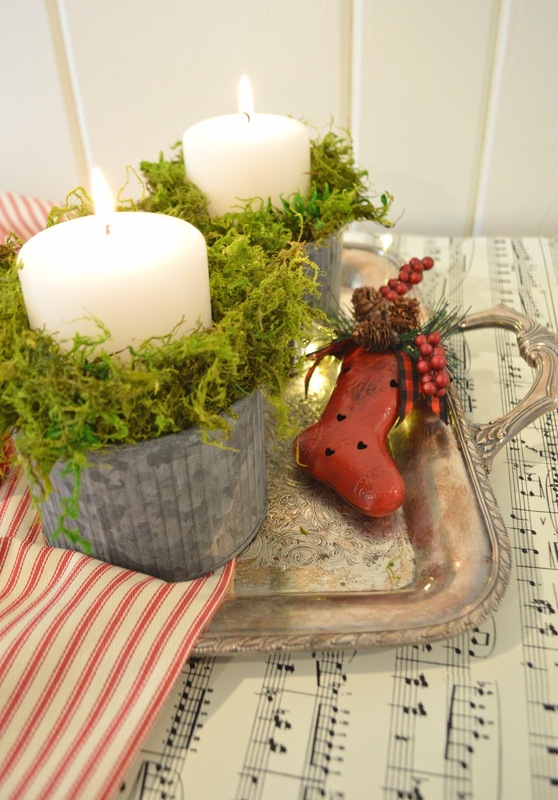 that add lots of Christmas charm to your home.